Puppy dog on the bed cuddling with a newborn baby! This is why I love the Dullum family and their awesome dog Mr. Charlie. 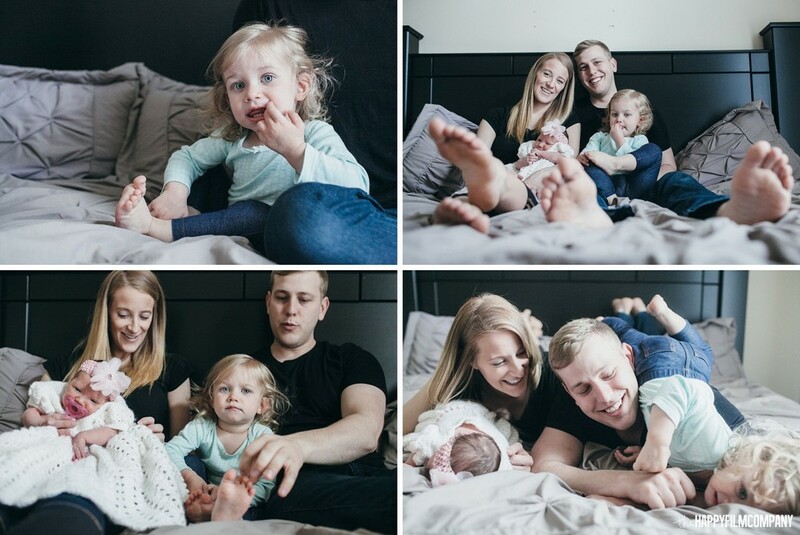 This was their 6th photo shoot with the Happy Film Company for their Seattle family photos! 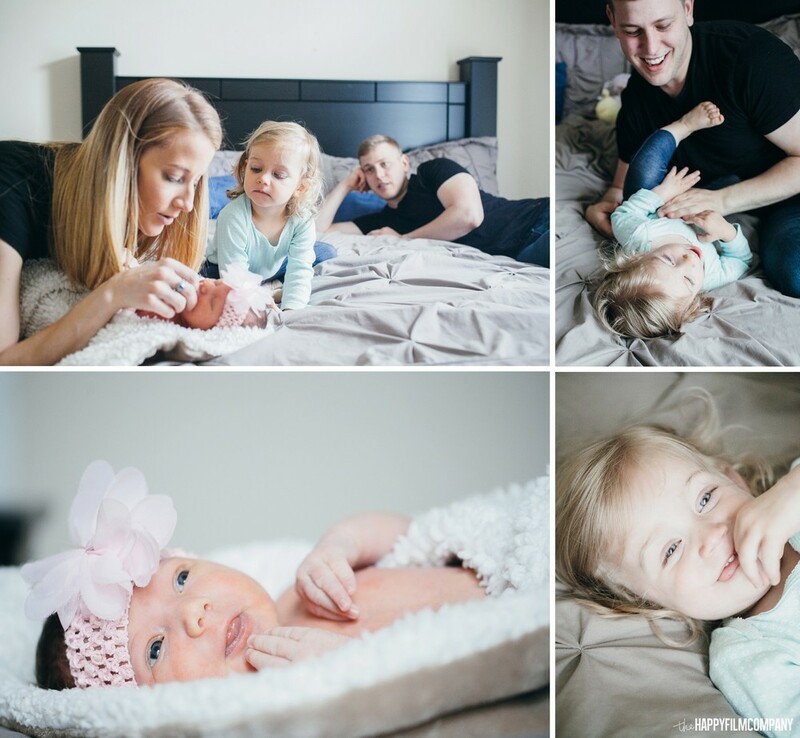 A couple years ago they started working with us when Harper was born and they were one of our first clients to purchase our 'Baby's 1st Year Package' (4 Shoots in 1 Year). 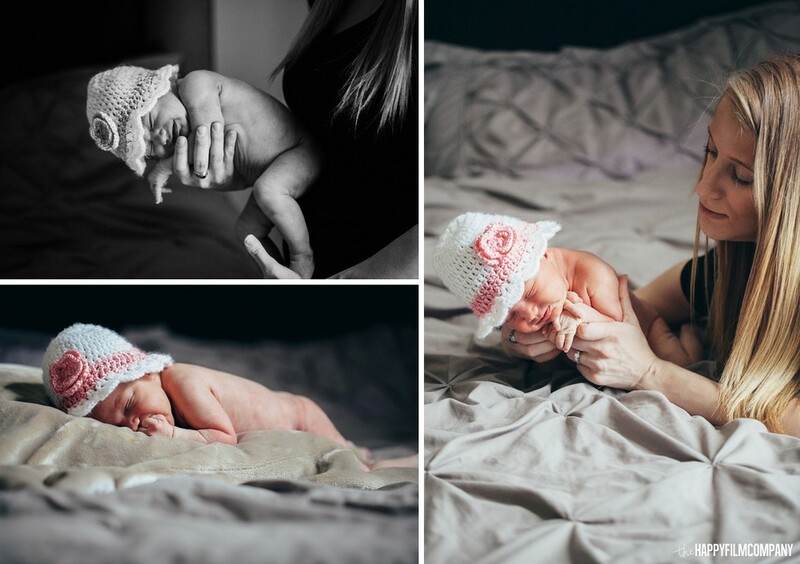 (Check out Big Sister Harper's Newborn Shoot). 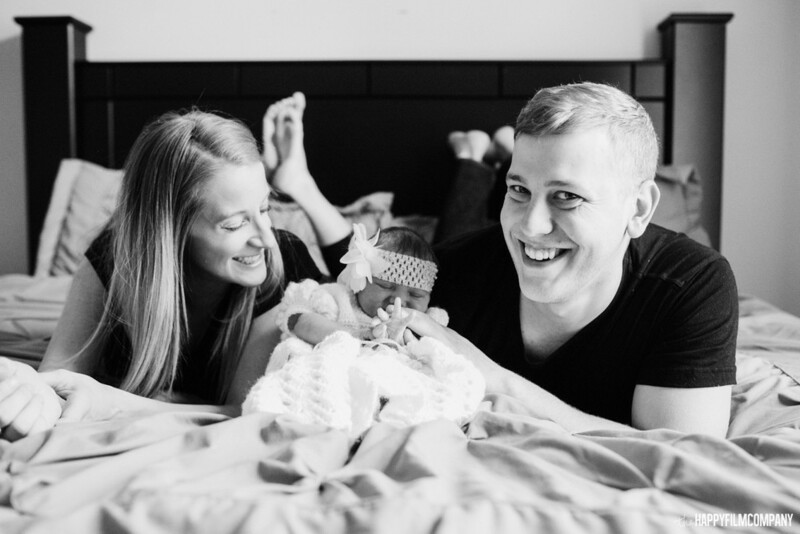 They are now on their 2nd Babys 1st Year Package with their second kiddo, Miss. Kenna. It was so cool walking into their home and seeing how it has completely evolved from an "adult" house into a "family" house with kids who have their toys everywhere and kids music playing on the TV. 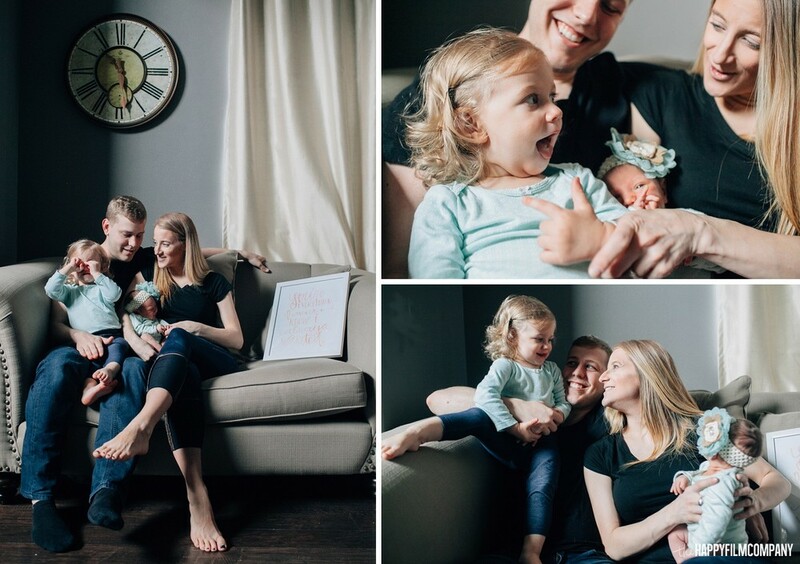 I remembered their first shoot when they were brand new parents figuring things out and now they totally have it down. It's awesome seeing families grow and watching how their lives, houses, parenting styles, family dynamics etc... evolve.